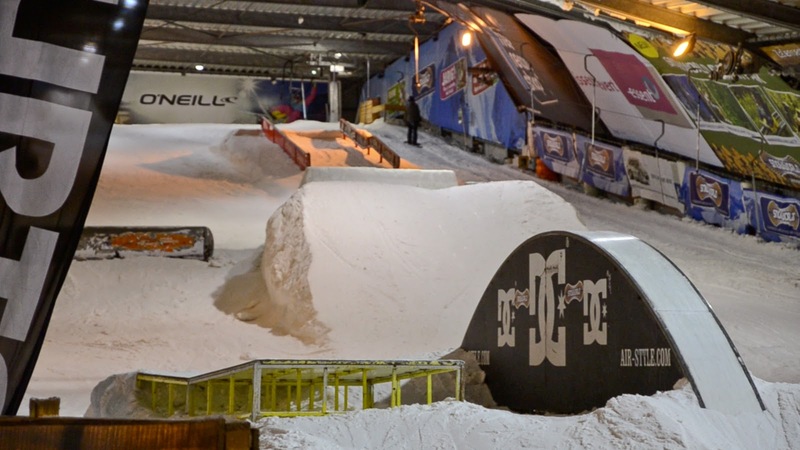 The snowpark. Looks nice even it was not shaped at all. 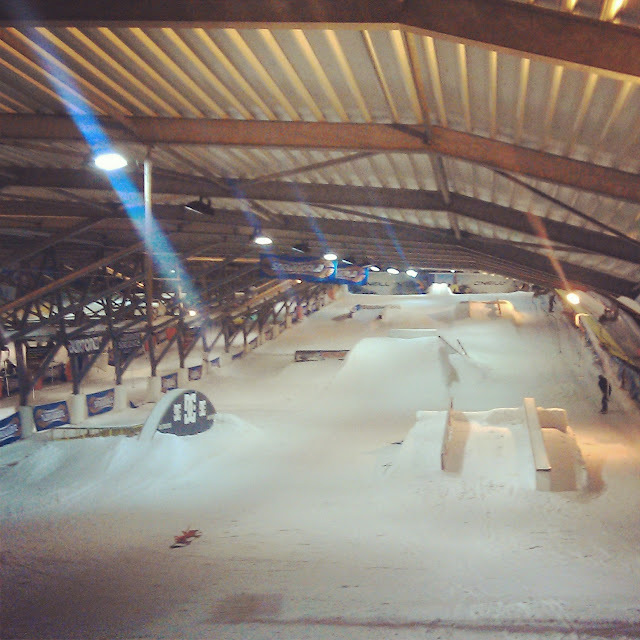 While I had visited Rotterdam with Steven in March, we went to ride in indoorhall, Snowworld. 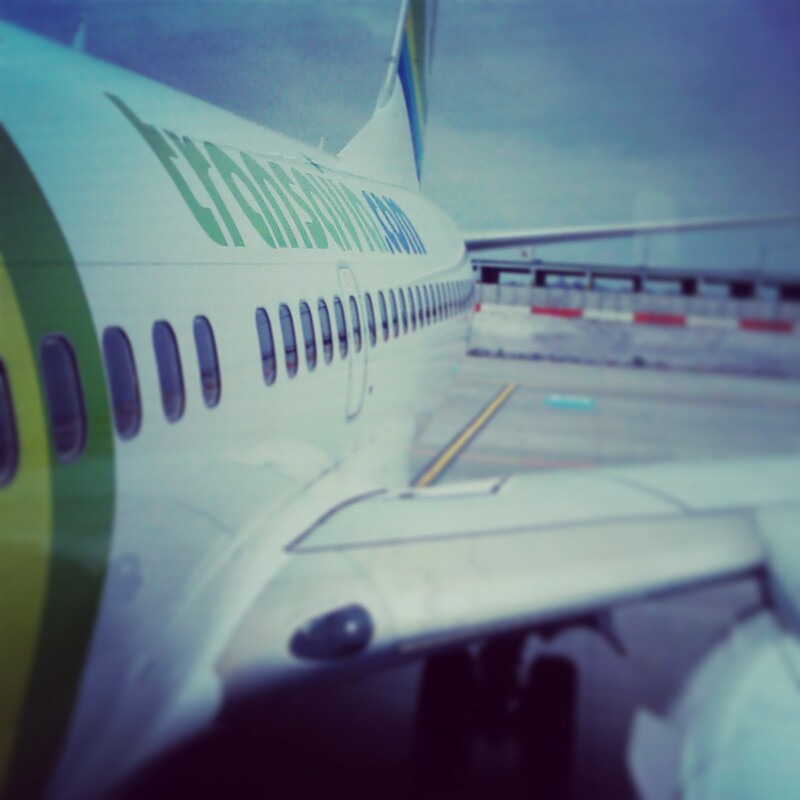 It has all started with a flight. Yeeey :). This was the second time I was in Swworld (about the first time you can read here, about the Trip to Snowtropolis, Germany indoorhall, here). According to pictures we saw on the internet, the park should be great. Unfortunatelly, the reality was little bit different. 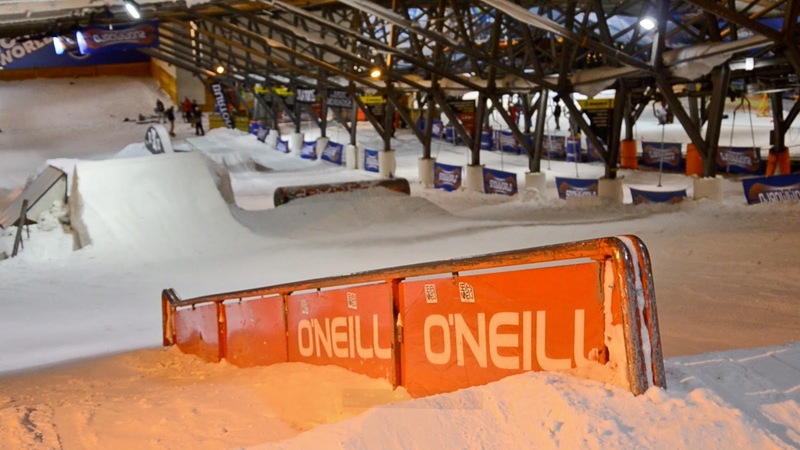 The obstacle themselves were ok, the snowpark was creative. But it was not shaped for a long time. It made our riding little bit more unconfortable, but still we could have some fun. Snowworld has 3 slopes. The first one was for begginers, the second one was with the park. 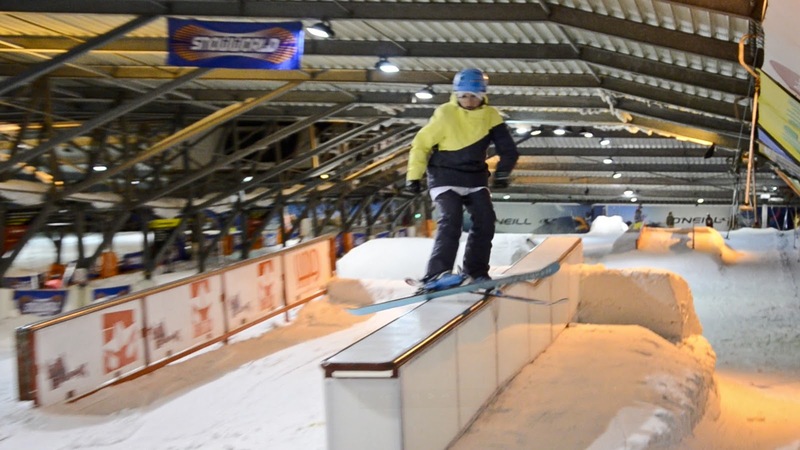 The third slope was for other skiers and in this time it also had a bagjump. We were riding for 4 hours, made thousands of runs and went back home again. Another nice day of riding: checked! The snowpark from the bottom.